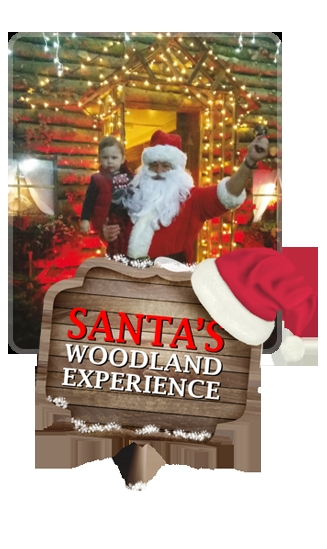 Once onboard you will set off through the woodland in search of Santa's woodland home. Take in the beautiful views and keep your eyes peeled as you may spot some of Santa's woodland neighbours! 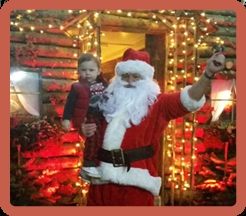 When you arrive at the cabin, you will be greeted and invited into the cabin by Santa himself, where he will be waiting to hear all about what you would like for Christmas. After the visit with Santa it is a wave goodbye and back to the tractor trailer for a ride to the shed where you can enjoy a tea/coffee or some delicious hot food and take a look at the range Christmas decorations we have available.